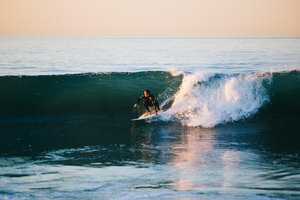 Stay where the action is in the heart of the Funk Zone at Hotel Indigo and discover lots of things to do near Santa Barbara. From street festivals to wine tasting rooms to mountain hikes, there’s something always going on in the city of sunshine. 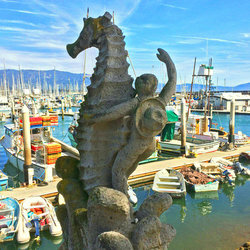 Explore Santa Barbara’s contemporary side here in the Funk Zone, where art seeps through every crack of this refurbished Warehouse District, an area saturated with galleries, boutiques, and exquisite restaurants. 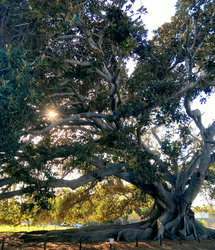 A stay in one of our micro hotel rooms places travelers right in the center of walkable attractions to visit and things to do near Santa Barbara, California. The Pier: Spend an afternoon at Stearns Wharf for waterfront shopping and unrivaled Pacific Ocean views. The Beach: Catch some rays while surfing, lounging under palm trees, or aboard a whale-watching tour, just one block away from our hotel. The Mountains: Take your next adventure uphill hiking and biking, two popular ways to exercise and sight-see. Painted Cave Chumash State Park showcases some of the finest remaining art work by the Chumash Native Americans. Santa Barbara Mission features twin bell towers, stone exterior, and a sprawling lawn with a rose garden and a stunning view of the Santa Ynez Mountains and Pacific Ocean. El Presidio de Santa Bárbara is a Spanish fort, with an extensive Visitors Center and engaging exhibits, Chapel, and more to tour! 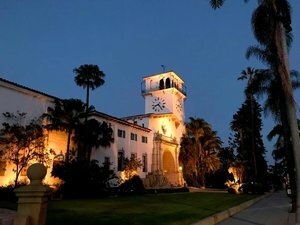 Santa Barbara Historical Museum showcases America's Riveria, through tours of historic homes, clothing collections, and carefully preserved artifacts. 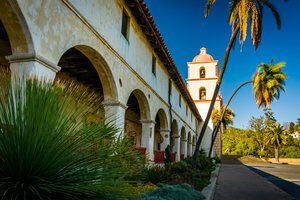 As opposed to the gritty urban framework of the Funk Zone, the Santa Barbara Courthouse evokes an old world architecture style that attracts visitors from around the globe to the city. This Spanish Revival building features beautiful murals and tilework, with a stunning panorama of the mountains and ocean. 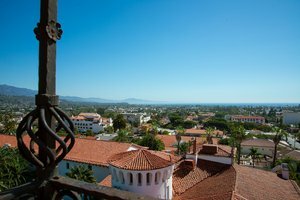 This landmark building determines how high other buildings in Santa Barbara can be built and showcases one of the best views of the city. 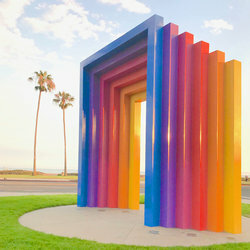 One of the top things to do in Santa Barbara, stop by for a summer movie night or a tour of the entire block! The city of Santa Barbara reflects a small town charm, and there’s no better place to stay than our stylish hotel for this personalized experience. See high-profile artists from around the world perform at the Santa Barbara Bowl, where you can see your favorite musicians in a more intimate venue. 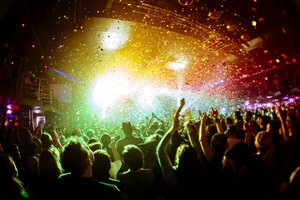 Dance the night away under the starry skies! You’ll often find yourself in the midst of an entertaining festival, surrounded by live music, bright colors, and the smell of fresh food cooking. Solstice Parade: The largest single-day event in the county! The parade features quirky and whimsical floats, inflatables, drummers, and lots of fun. Fourth of July: Watch the fireworks over the Pacific Ocean from the beach and Stearns Wharf. 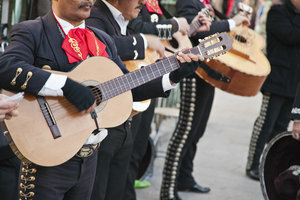 Old Spanish Days Fiesta: The largest equestrian parade in the nation crosses our front door, with more celebrations through downtown food markets, Flamenco dancing, mariachi music, and more! Pacific Pride Festival: Support community non-profits and enjoy live entertainment at this all day event! AVON The Walk to End Breast Cancer: Stay active and inspired to help raise money for cancer research. The Santa Barbara International Film Festival is your opportunity to catch world premieres and star-studded red carpets. 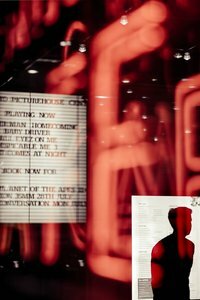 One of our favorite things to do around Santa Barbara, locals and film buffs alike attend the festival and offer their take on annual films. Many celebrities live in the area to also embrace the outdoor lifestyle between the mountains and sea so come catch a glimpse! Come stargazing and join us for a night at the movies! Check back for our staff’s picks from this year’s SBIFF! Amgen Tour of California: Watch the world’s top cycling teams compete across 600 miles in 7 stages every May. i madonnari: Mission Plaza transforms in front of your eyes during the Italian street art festival in May, with participating local companies and commissioned artists. Earth Day Festival: A worldwide movement that started in Santa Barbara, join us in protecting the only world we’ve got each April. 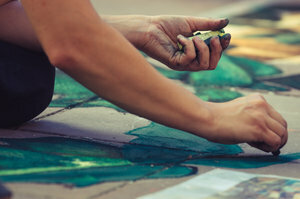 Ask our staff for their recommendations of things to do near Santa Barbara during your stay at our contemporary art hotel tucked away in the Funk Zone!